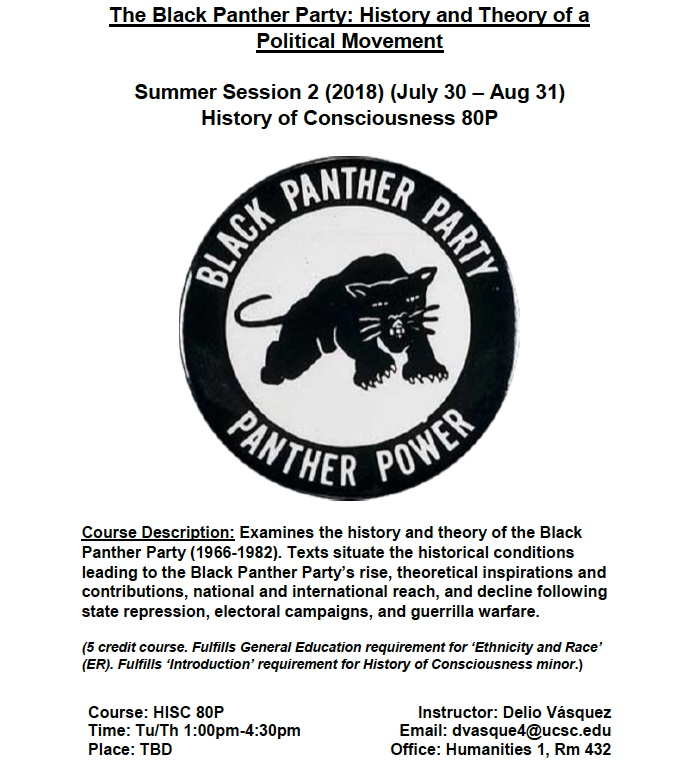 Students will examine the history and political theory of the Black Panther Party (1966-1982). Texts situate the historical conditions leading to the Black Panther Party’s rise, theoretical inspirations and contributions, national and international reach, decline following state repression, social programs, and guerrilla warfare... and much more. Fulfills General Education requirement for ‘Ethnicity and Race’ (ER). Fulfills ‘Introduction’ requirement for History of Consciousness minor. Feel free to e-mail instructor Delio Vásquez with questions at dvasque4@ucsc.edu.